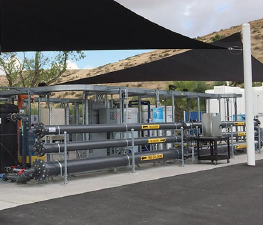 San Diego County is a leader in water technology, and several local agencies across the region are already developing potable reuse plans and projects as part of their commitment to make the most of every drop. Two major initiatives are under way, with more expected in coming years. 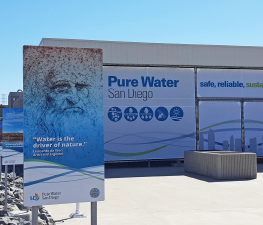 Pure Water San Diego is the City of San Diego’s phased, multi-year program that will provide one-third of the city’s water supply by 2035. The Pure Water Program uses proven technology to clean recycled water to produce safe, high-quality drinking water. It will also reduce the amount of treated wastewater that is discharged to the ocean by more than 50 percent. 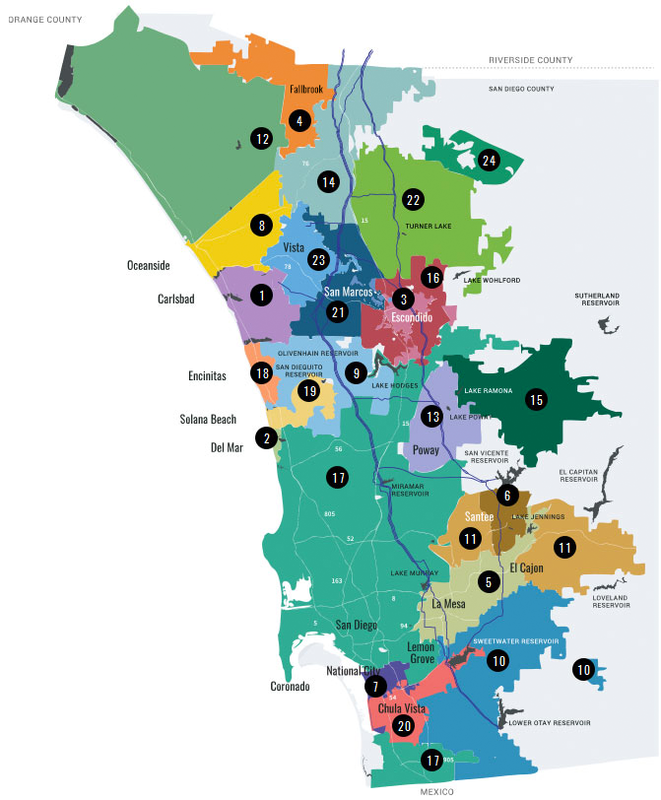 The East County Advanced Water Purification Program will create a new, local, sustainable and drought-proof drinking water supply using state-of-the-art technology to meet 25-30 percent of East County’s current drinking water demands. The project is a partnership between Padre Dam Municipal Water District, Helix Water District, the County of San Diego and the City of El Cajon. * The Sweetwater Authority is a service organization for the City of National City and the South Bay Irrigation District.